Spread Holiday Cheer with Peanut Butter Toffee Cookies and a giveaway! Once I’ve served Thanksgiving leftovers at least twice, I feel comfortable turning my attention to all things Christmas and that means decorating and baking cookies! 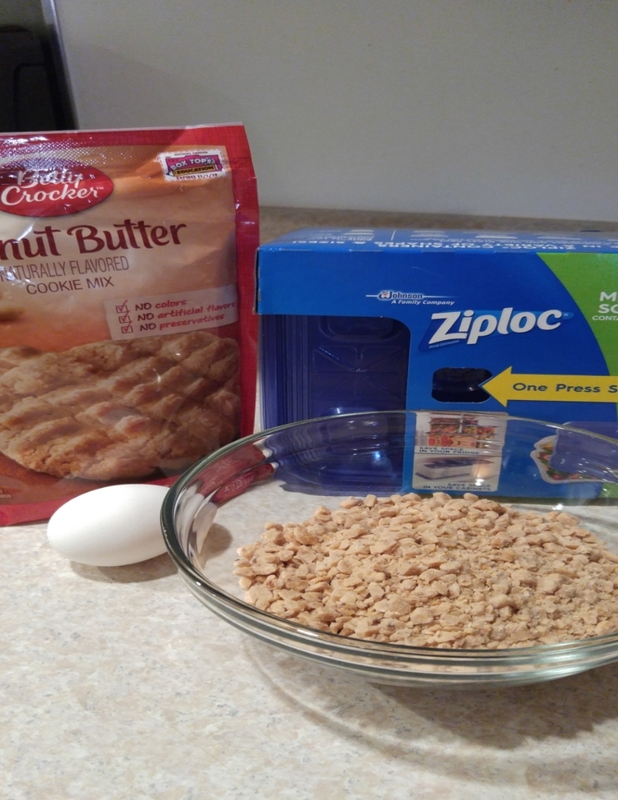 I love baking from scratch whenever I can, but sometimes this busy work at home Mom needs to streamline the baking process and that’s when I turn to Betty Crocker Cookie mixes. 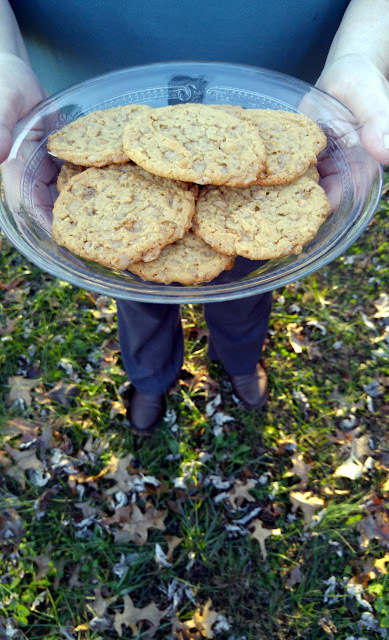 This week, I’m spreading holiday cheer with my Peanut Butter Toffee Cookies that started with a Betty Crocker mix. These cookies are so quick and delicious; nobody will believe they aren’t from scratch! I bake cookies often throughout the year, but at Christmas time, I’m baking like a boss all season long. I bake for family and friends, I bake for cookie swaps and teacher appreciation days at my daughters’ schools and I bake cookies to give to my neighbors. It really is a simple and easy way to spread kindness and cheer at this special time of year. All you need is a Betty Crocker Cookie Mix, about an hour and a few Ziploc containers to put your cookies in. I chose peanut butter because I knew it was a favorite ; but Betty Crocker has plenty of options like Sugar Cookies, Chocolate Chip and Double Chocolate chip just to name a few. Both the mixes and the Ziploc containers are on sale right now at Publix, so be sure to visit readysetsave.com to download your digital coupons. Be sure to check out all the fun holiday recipes there too! Shape dough into 36 small balls or make drop cookies like I did by gently sliding off tablespoon size dough balls on to parchment paper. Bake cookies for 8-10 minutes for regular size cookies or 9-11 minutes for large cookies. 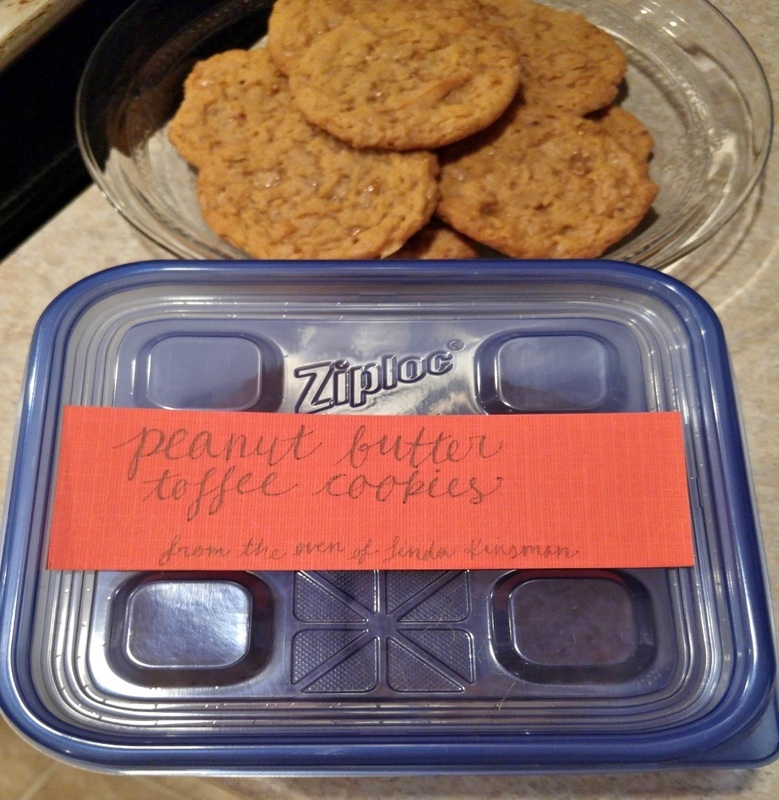 If you are giving cookies as gifts like I am, while the cookies cool, it’s time to get your cookie container ready. I prefer using Ziploc containers because they are sturdy and reusable, which truly comes in handy this time of year! Sometimes, I even receive my container back with a goody inside as thanks. 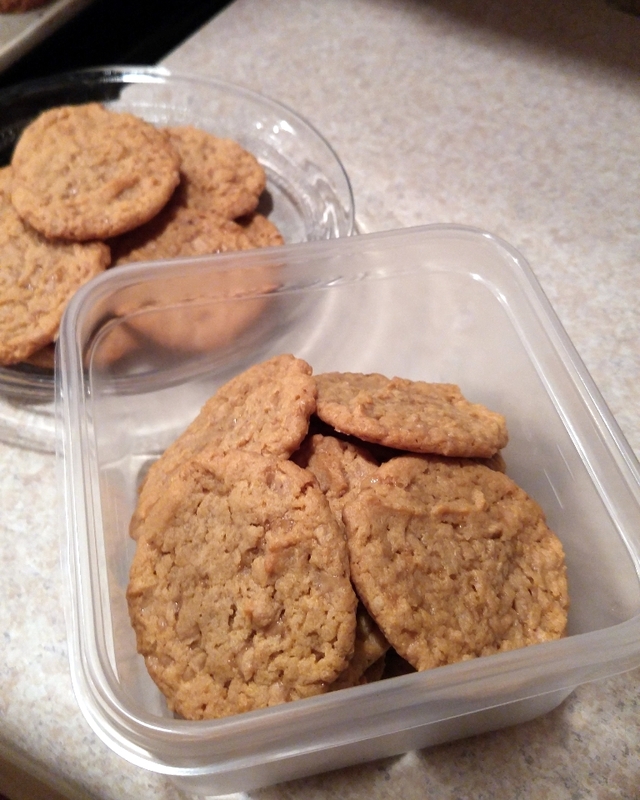 I’ve found that a dozen cookies fit perfectly in the 1.25 quart size Ziploc containers. Sometimes you can get lucky and find the holiday containers, but if not, you can decorate your container as festively as you want. Thanks to my sponsor, Betty Crocker, one lucky reader will receive a $10.00 PayPal cash transfer so you can purchase some cookie mixes too! No purchase is necessary to enter using the Rafflecopter from below. My WAHM Plan is responsible for prize fulfillment. Winners will be notified by email used on entry form and have 48 hours to respond or another winner will be chosen. This giveaway is not associated with nor endorsed by Facebook, Twitter, or any other social channel. You must have a PayPal email account to enter. I would use the Pillsbury coupon save $1 on three products. I would share the chocolate chip reindeer cookies. I would use the 50 cents off one Big G Cereal coupon. I liked the holiday blossom cookies too. Thanks for stopping by and entering. Good luck! I thought those reindeer cookies were too cute! Good luck! I would like to make the Santa Hat Cookies. I would love to share these with my niece and nephew. I would like to use the Betty Crocker Baking Mixes coupon. I could save 75 cents when I buy 3 mixes. I'd be interested in making the peppermint bark. I have never made it before. I love peanut butter so those cookies you made look delicious. I would also like to try the peppermint bark. I make Oreo Bark regularly and it is amazing so would love to give the peppermint bark a try. I would like to use the 50 cents off two betty Crocker potatoes to make a side dish for Christmas dinner. I would love to make and share the holiday blossom cookies! I would love to make the Santa Hat Cookies. I'd like to use a Progresso coupon, I love their soups. I would definitely like to make and share the holiday tree brownies. My kids love brownies! Peppermint Sugar Cookie Bark LOOKS AMAZING AND EASY! I could use any coupons for Purex, I do so many loads of laundry!!! I like the Holiday tree brownies. I would love to make the snowflake mitten cookies. I would love to use the coupon for 75 cents on 3 Betty Crocker cake mixes! Santa Hat Cookies are very cute! I want to make the 3D Christmas tree cookie stacks. They would make great treats for my coworkers. I'd like to make and share the Giant Christmas Tree Cookies! I would use the $1 off 2 big G Cereals. I would make the santa hat cookies. Would love to make the holiday blossom cookies! I'd like to make the Chocolate Chip Reindeer Cookies! I would use the Yoplait 75 cents off of 2!